Alright, Everyone needs to chill their beans about the DC Movie Universe. When Batman V Superman came out it was heavily criticised, if you read my review (which you can find here) you will know I found this completely unwarranted. Suicide Squad came out a couple of weeks ago and it too has been receiving negative reviews and again this is uncalled for. If you look at the history of superhero/comic book movies they are overwhelmingly poor. For every Deadpool you will get X-men Origins or The Wolverine, for every Dark Knight there is a Dark Knight Rises or Batman and Robin and for every Avengers Assemble there is a Hulk or Ironman 3. I could list at lot more superhero movies that were phenomenally bad (Fantastic Four anyone?) but Suicide Squad is not one of them. That being said I wouldn't put it in the same category as Deadpool or the Dark Knight, it is good but not THAT good. It does have some problems but the tour de force that is The Joker (Jared Leto) and Harley Quinn (Margot Robbie) let me forget the problems and just enjoy the nonsense. The main plot is pretty generic, a group of misfits are brought together by an unscrupulous government agent Amanda Waller (played by Viola Davis) as a black ops team to deal with any future Meta-Human (or extra terrestrial) threat. The Enchantress a centuries old which who possess the body of a archeologist (Cara Delevigne) who was under the control of Amanda Waller but has escaped and is making a weapon to destroy all of humanity's military and turn ordinary humans into sort of mutant soldiers. Rick Flag (Joel Kinnaman) is the special forces guy in charge of the squad, he is in love with Cara Delevigne's character. The squad itself is introduced fairly quickly with flashbacks telling you who they are and how they ended up in jail. There are cameos in this act from Batman and the Flash which ties this movie in with the other DCU films. Some members get more attention than others, Slipknot is mentioned only fleetingly, Katana is only brought in halfway through the film. Killer Croc, Captain Boomerang and El Diablo get more time but it's Deadshot's back story that gets the most attention. 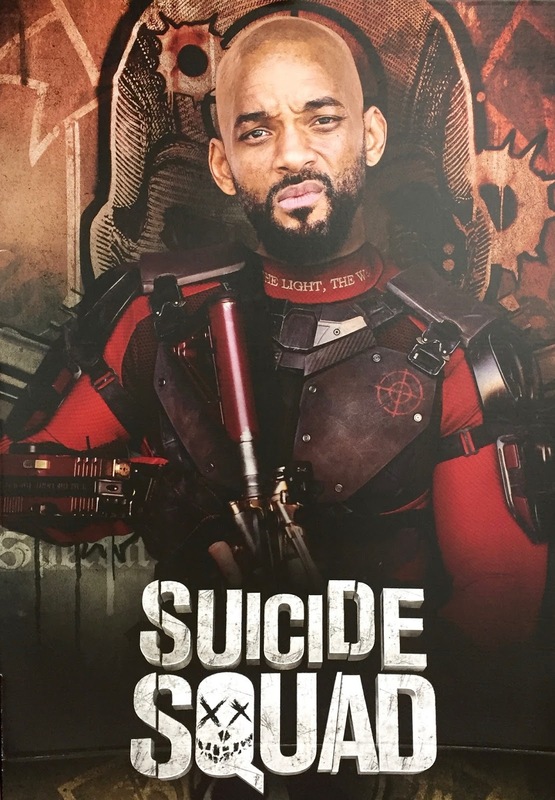 Deadshot is the best assassin in the world and supposed to be a bad dude but because it's Will Smith playing him he comes across as a decent guy. Harley Quinn also gets a lot of time to flesh out her back story. We're shown how Dr Harleen Quinzel fell in love with The Joker while treating him and how he got inside her head and tortured her until she became the unhinged Harley Quinn. The Joker is fiercely protective of Harley Quinn and the pair ruled the criminal underworld of Gotham City until Batman captured Harley. 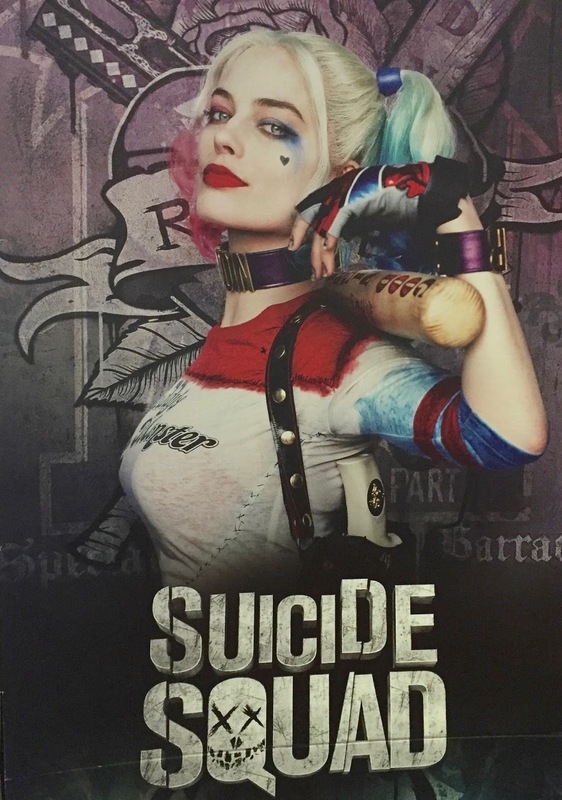 A secondary plot is a jailbreak whereby The Joker is trying to rescue Harley Quinn. 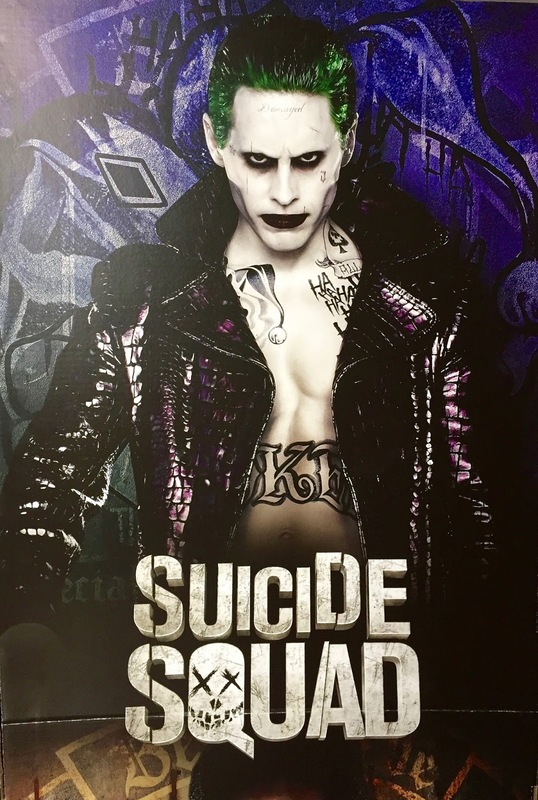 The Joker is the best thing about Suicide Squad, he does't get enough screen time but when he does he is brilliant. Jared Leto plays a completely different Joker than Heath Ledger, he is more a criminal kingpin rather than a terrorist as in The Dark Knight but he is just as psychotic. I've heard there was a lot of unused footage of the Clown Prince of Crime so I'm hoping these will be extras on the Blu-Ray release and I hope that when the Ben Affleck Batman movie is made that this Joker is the protagonist. Something else that is great about this film is the soundtrack. Not since Guardians of the Galaxy have I been so impressed with a soundtrack. House of the Rising Sun, Sympathy for the Devil, Dirty Deeds Done Dirt Cheap, just a few of the killer songs used. 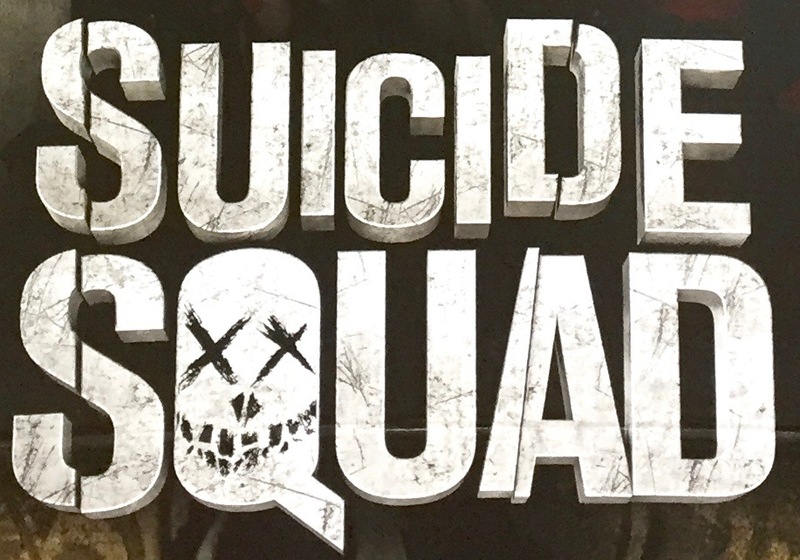 If you're a movie snob and are expecting to get emotionally moved by a film you will hate Suicide Squad. This is the type of film where you just need to switch your brain off for a couple hours and enjoy the ride. If you want lots of explosions, gun fights and fun, stupid over the top action sequences then you will probably like Suicide Squad. Sometimes in life you need a fun, stupid movie.